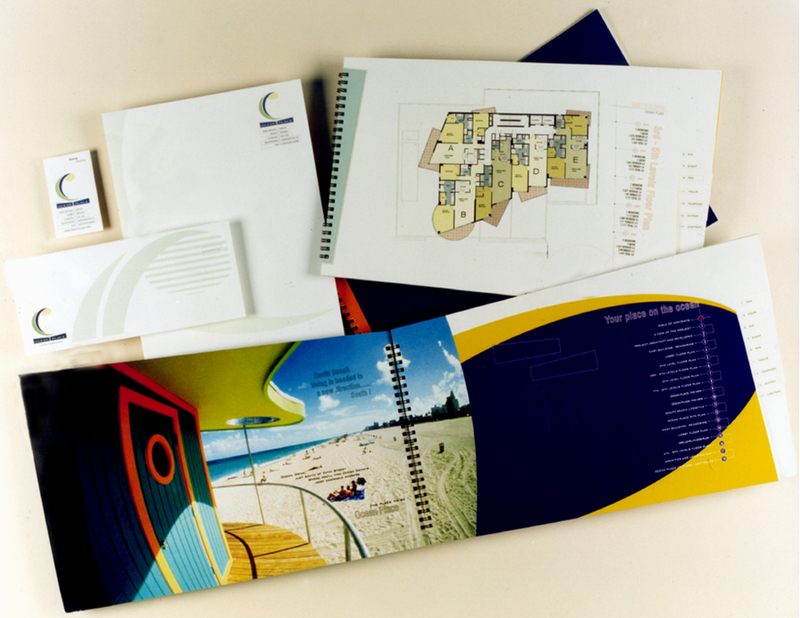 Having worked with this client on a previous hotel project, we were commissioned to develop the brand identity and marketing promotional materials for the Ocean Place Condominium property in South Beach. 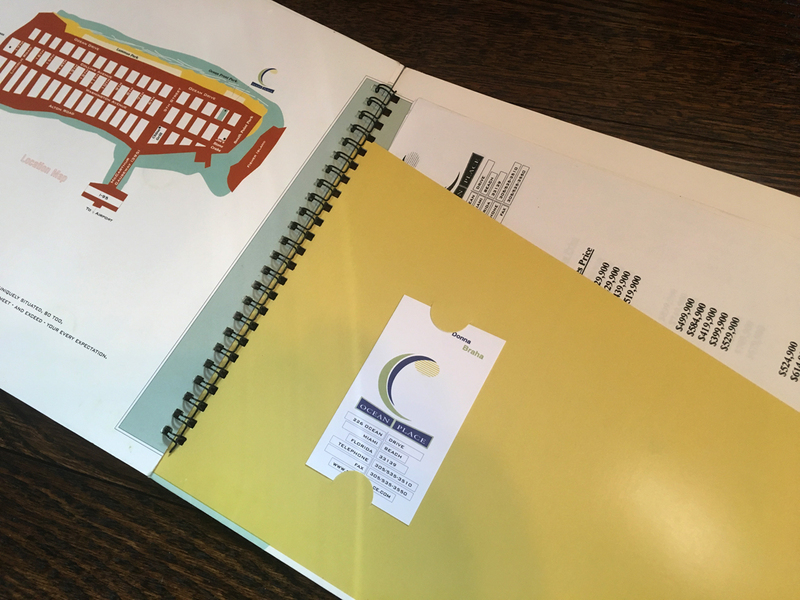 We created a brochure folder combination that represented the architecture designed by Arquitectonica. 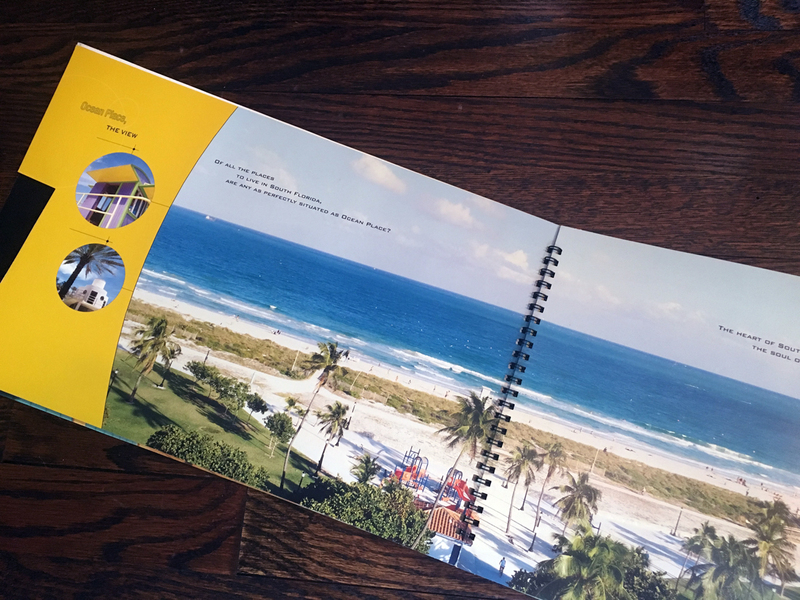 We directed photography sessions that yielded a layout capturing the South Beach lifestyle. 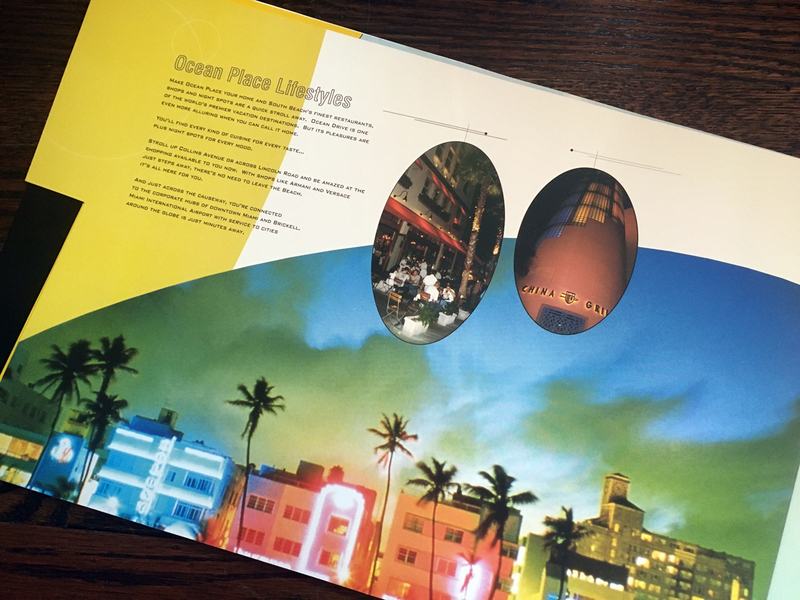 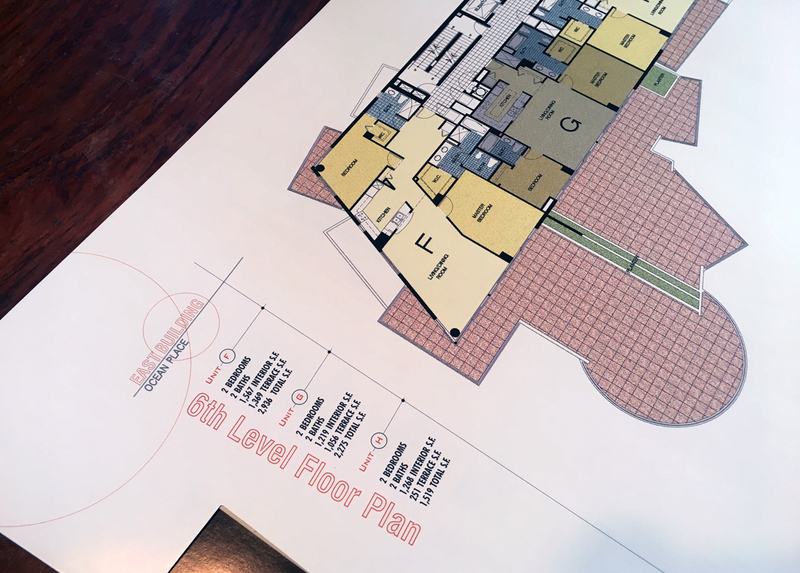 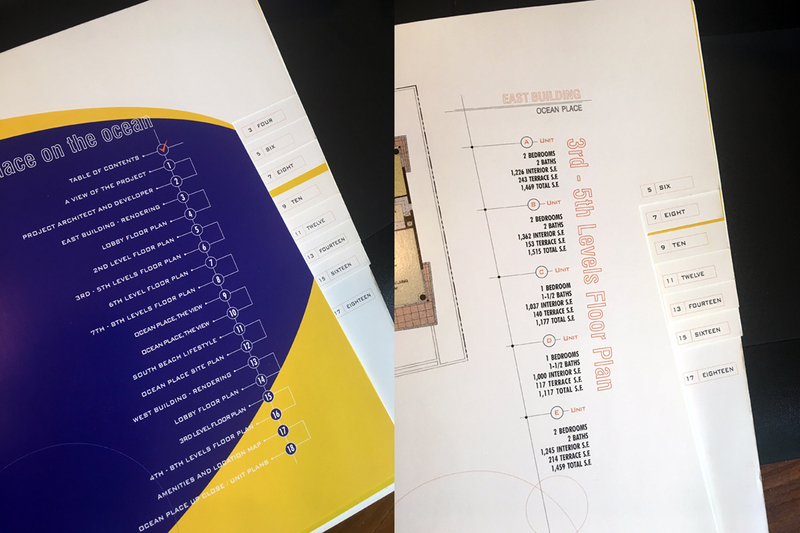 The final brochure incorporated this feel and included individual floor plan inserts with separate tabs for each floor to facilitate sales of this unique location.